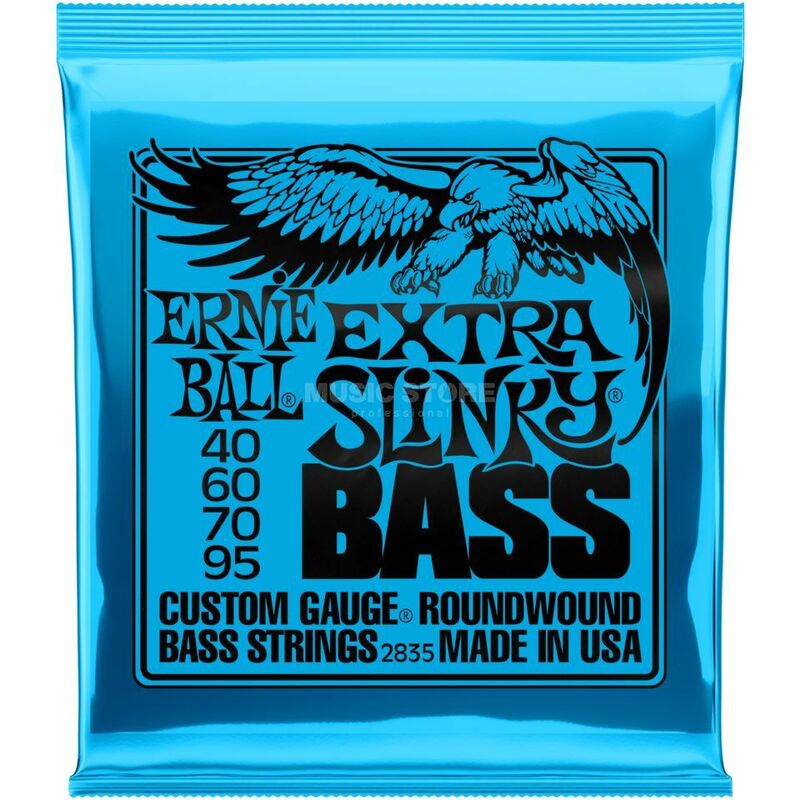 The Ernie Ball Extra Slinky Bass Nickel Wound Electric Bass Strings are round-wound giving maximum clarity and serious punch. They are made from a nickel plated steel wire that's wrapped around tin plated hex shaped steel core wire. Each string is manufactured with the freshest and finest raw materials in Southern California, USA. The popular strings set the standard in the industry. The list of artists using Slinky Strings include Jimmy Page, Eric Clapton, Steve Vai, and Slash.